This article is for those who are looking for a premium laptop priced between Rs. 50000 and 70000. In this article, we have covered a list of best laptops under 60000 in India available as of 2019. We have covered best laptops with 8th Gen Intel Core i5 and i7 processors, 8GB RAM, 2 or 4GB Nvidia Graphics card and SSD storage. Laptops from top brands like HP, Dell, Acer, Asus, and Lenovo have been covered in this article. All these laptops are great for programming, office use, video editing, machine learning, and gaming as well. All these laptops have a display of 14 or 15.6-inch size with Full HD 1920X1080p resolution. The graphics card on most of the laptops is Nvidia 940MX or MX150 or AMD Radeon. For storage, you will get 1 to 2TB of hard disk storage. Some laptops also have 128GB SSD which makes the experience even more smooth because of faster app launches and data transfer. All these laptops are priced around Rs. 60000 in India. Prices keep varying every day so please check the latest price by clicking on links provided. If you can increase your budget take a look at best laptops under 70k in India. Let's take a look at the best laptops under 60000 in India. We have provided a brief review of every laptop with its pros cons, specs, features, and image. 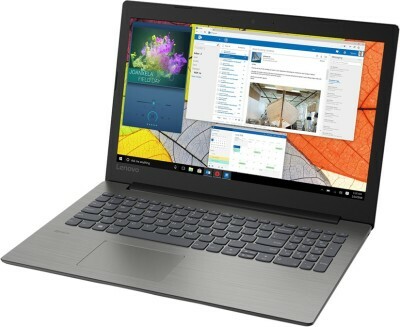 Lenovo Ideapad 330 is a very powerful laptop with Intel Core i7 8th gen processor, 4GB Nvidia GeForce MX150 graphics and 8GB of RAM. The performance is super smooth and can be easily used for powerful games and heavy software. You can easily run high ended computational tasks on the same. The display is a 15.6 inch Full HD panel and has a good colour reproduction. The display has narrow bezels of up to 5 mm. With thin bezels and a bigger display screen, this laptop enhances the viewing experience. The mix of light and dray grey color makes it look good. There is 1 TB of HDD(storage) to store all your file or media content. It comes windows pre-installed so you have to do that on your own and can start using it as you receive it. On the battery backup, it can keep the laptop powered up for around 6-7 hours which might vary as per your usage. The Ideapad 330 supports Rapid Charge technology which means with 15 minutes of charge, you can use the laptop for up to two hours. It is a powerful laptop so much be thinking what about heating? The laptop has an innovative built-in cooling system with dual-action fans which helps to dissipate heat quickly and provide sustained performance. At this price of around 70000, it is good powerful laptop Intel Core i7 laptops with 4GB graphics and Windows 10. With 1 USB Type C, 2 USB 3.0 and 1 HDMI port, it gives enough option for you to connect external devices. HP is a well-known laptop brand across the world. They have a great range of products for every budget. Plus they offer good after-sales service as well. 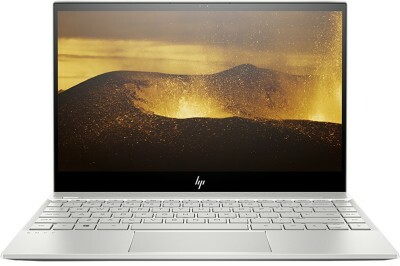 This is a well-balanced ultrabook from HP Envy series. The laptop is well built and looks very premium. It just weighs around 1.2 Kg and is easy to handle. You are going to fall in love with this laptop. The display on the front is 13.3 inches large and has a resolution of Full HD. The display quality is great and images look nice and sharp with good colors. It has the latest 8th gen Core i3 processor which is capable of handling multiple apps with ease. The storage is just 128GB SSD. SSDs are very fast and you will see that it boots up and shuts down quickly. Applications also open and close in a flash. To handle switching between multiple software and applications, there is 4GB of DDR4 memory. The hardware is suitable for business and office use where you have to use MS office apps, watch videos and surf the internet. It is not suitable for running heavy softwares and games. The laptop is very power efficient and will give a backup of up to 14 hours on a single charge which is excellent. It also has fast charging and it gets from 0 to 50% charge in approximately 45 minutes. If you need a lightweight laptop/ultrabook under 60000, then this will be perfect for you. If you need more powerful hardware, take a look at higher variants of HP Envy which come with Core i5 processors. HP is one of the best brands in the laptops category in India. They have a complete range of laptops for everyone. Whether you are a student or you run a business, no matter what is your budget you will find a laptop from HP in that range. Plus, HP offers excellent after sales service so if something goes wrong, you are covered. Inside, you have an 8th gen Intel Core i5 chipset with 8 gigs of RAM and 1 TB of hard disk storage. You also get 2GB NVIDIA Geforce MX130 graphics to handle the games or machine learning stuff if you are into that or any other high-end tasks like video editing, that you wish to drive from this laptop. The graphics card is not the most powerful you can get but a decent one to handle games at medium settings. 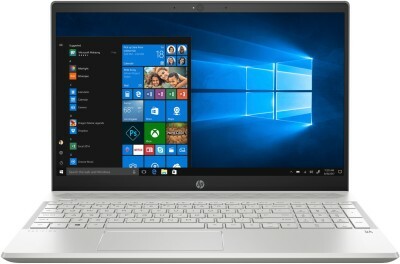 The laptop comes preinstalled with Windows 10 operating system and Microsoft Office 2016 as well. As usual, you get a 1-year on-site warranty from HP. Go for it if you are looking for a stylish and fully loaded laptop under 60000 from HP. This is a sleek and stylish laptop from Asus with a powerful hardware. The weight of the laptop is just 1.4 kg so it is more of an ultrabook. The display on the front is 14 inches with Full HD resolution. The images look sharp and crisp with good colors. Inside, there is a latest 8th generation Intel Core i5 chipset with 1TB of hard disk and 256GB of SSD. There is 8GB of RAM to handle all your heavy software and applications. Overall this is a very powerful hardware and can handle any task without breaking a sweat. The SSD ensures that laptop turns on quickly and apps launch within seconds. There is a fingerprint sensor on the laptop for quick unlocking and is way faster than unlocking the laptop with a password. On the operating system side, you get Windows 10 pre-installed. One of the major positives of this laptop is that it comes with a 2-year global warranty. Most brands offer just 1-year warranty but here you get a 2-year global warranty. The same laptop comes in various configurations. Check them here on Flipkart. Dell has one of the best after sales service network in India. This series 5000 laptop from Dell comes with a powerful hardware configuration. You get a large 15.6 inch Full HD display which is bright and beautiful with good color reproduction. Inside there is an 8th gen Intel Core i5 chipset which is suitable for medium to heavy usage. There is 8GB RAM and 2TB of storage and 2GB of AMD graphics as well. The processing power is enough to handle games with ease so gamers can go for it. 2TB of storage is suitable for those who like to keep a ton of data, movies, videos, pictures on their laptop. Thanks to the 2GB graphics, the laptop can handle games very well. The graphics card is also useful for Machine learning, photoshop, and video editing work if you are into any of that. The battery is a 3 cell and you can expect 4-5 hours of battery backup which is decent. Windows 10 is pre-installed which is another positive. Overall, it is a good laptop under 60000 with powerful hardware and a nice display. This is a power packed laptop from Lenovo. It comes with the latest 8th gen Intel Core i7 processor. There is 8GB of DDR4 RAM and 4GB of Nvidia Graphics. The graphics card is MX150 which is a decent performer. The hardware is capable of handling heavy workloads with ease. So doesn't matter if you want to do video editing, run ML algorithms, play games, this laptop will be able to accomplish the task with ease. The laptop is designed with a special protective PC ABS Painting Finish which protects it against wear and tear. It also features a rubber detailing on the bottom which helps in maximizing ventilation and extending the life of the laptop components. Another positive of the laptop is that it comes with Windows 10 installed. One thing that we didn't like was display, The resolution is HD only. Full HD would have made it a much better deal. Still, this is a very good laptop with a powerful chipset. This Lenovo laptop also comes with Dolby Audio, so you can turn up the volume without distortion and enjoy a truly memorable visual and aural experience. Go for it if you are looking for an 8th gen i7 processor and 4GB graphics card laptop under 60000 to 70000 Rs. This is a laptop from Acer Swift series and it comes in the category of thin and lightweight laptops also known as ultrabooks. The laptops have a silver finish all around and look very premium. High-quality materials have been used in this laptop to make it lightweight and durable as well. The display is 14 inches large and has a resolution of Full HD 1920x1080p. The display quality is great, colors look punchier and the viewing angles are good as well. The laptop is powered by latest 8th generation Intel Core i5 processor which has a turbo boost of up to 3.4GHz to handle heavy workloads and applications. There is 8GB of RAM and 256GB of solid-state storage. SSDs are much better than HDDs in data transfer rates and durability as well. A laptop with SSD will boot up much faster and overall performance will be very fluid as well. You will see the boot time of just a few seconds. The 8th gen processor with 8GB of RAM handles medium to heavy usage without any issues. 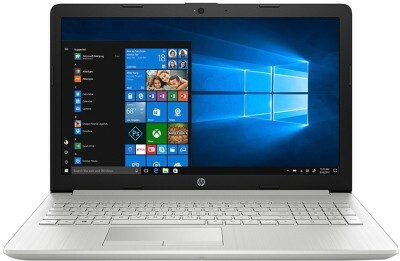 Whether you need it for business use or you need it as a college student for programming and projects, this is an ideal laptop. It will handle everything without any kind of lag plus it is easy to carry around as well. The battery backup of this laptop is massive. You can expect up to 10 hours of backup on a single charge which means you can use it for an entire day without plugging it in. The laptop comes with 1-year international travelers warranty which means if you in another country, you can still avail the warranty if something goes wrong with your laptop. It is a great plus for travelers. The laptop comes in 2 variants: with Linux and with Windows 10 Operating system. You can check them out on links below. So that was our list of best laptops under 60000 in India. We hope it was helpful and you were able to find a laptop according to your usage and budget. We have covered only the best brands available in India so you don't have to worry about the quality and after-sales service. For the 1st year, you get an onsite warranty and most of the brands respond to complaints within 24 hours. Some brands also offer an international warranty so if you are a traveler then getting a laptop with a global warranty is a good option for you.